Dogs may be man’s best friend, but if they are not properly trained and controlled they can also present a real safety threat. In fact, the Florida Department of Health (FDOH) reports that more than 600 Floridians require overnight hospitalizations each year because of dog-related injuries. Many more throughout the state suffer less severe, but still serious, injuries. In fact, in a comprehensive FDOH analysis of just one Florida county (Bay County) concluded that there were approximately 800 serious dog bites injuries over a two year period. Most alarming was the fact that the majority of the victims of these dog attacks were you children. More specifically, children under the age of 6 were at the highest risk. This is especially unnerving considering the vulnerability of these kids. Our children must be protected from the dangers posed by improperly controlled animals. 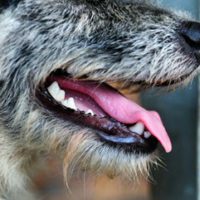 The following is a brief guide that contains information about what to do after you or a loved one has been bitten by a dog. Dog bite victims need to see a doctor immediately after the attack. Even if you feel that the bite is not that severe, it does not matter. You still need to get yourself to a medical professional. Do not be fooled, dogs are not clean animals. A dog’s teeth and claws are far from sterilized. Dog caused wounds are at very high risk of infection. In fact, infection is the single most common reason why dog bite victims require overnight hospitalization. Do not risk it. Veterinary records and health information for the dog. Florida’s dog bite statute holds dog owners strictly liable for the damages caused by their animal. In other words, if you or your child was injured by a dog, full and fair compensation is owed. That being said, there are also some legal defenses available to the dog owner. Even with Florida’s law, dog bite cases often become highly complicated. This is particularly true when big insurance companies get involved. Dog bite claims often involve insurers because a homeowner’s policy may end up being on the hook for your damages. Ultimately, it is imperative that injured victims seek professional assistance from an experienced Tampa Bay dog bite lawyer. Your lawyer will be able to help you seek the financial recovery that you deserve under Florida law. At Pawlowski//Mastrilli Law Group, our dedicated premises liability attorneys have extensive experience handling dog bite injury cases. If you were hurt by a dog in Florida, you deserve full and fair compensation for your injuries. To learn more about how we can help you get that compensation, please reach out to our office today. We represent victims throughout the Tampa region, including in Hillsborough County, Pinellas County and Pasco County.